Established in 1971, Matki have pioneered innovative design in luxury showers solely in the UK for over 40 years. Featuring a vast range of sizes with minimal framing and beautifully finished details, Matki use the finest quality materials available to incorporate optimum functionality and durability with stunning aesthetic. Aqata is a family-owned British company with over 30 years experience within the bathroom industry. Specialising in streamline shower enclosures with sleek curves and minimal framing, Aqata use modern technology and superb design to create an array of exclusive solutions to satisfy all needs and preferences. Using an inspired approach, Abacus design and manufacture beautiful elements so that you are free to piece together your dream shower. Abacus are particularly esteemed for wet floor systems and a combination of innovative surfaces can render the most efficient and stylish finishes in the industry. Established more than 30 years ago, Lakes are a trusted manufacturer and supplier of shower enclosures, doors and bath screens. 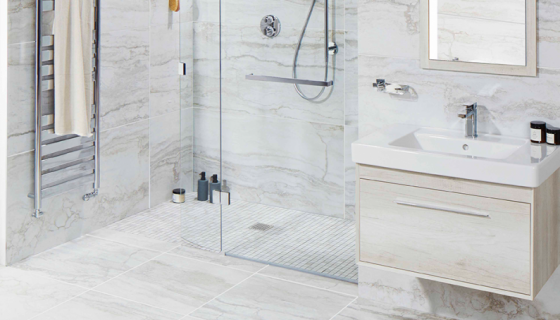 With a wide selection of shower styles satisfying both modern and classic tastes, including luxurious walk-in showers and wet room designs, Lakes use only the finest quality materials across their range to ensure optimum performance. Roman have all the components to transform your bathroom into a beautiful spa like retreat with their exquisite collection of high quality shower enclosures. From stunning walk-ins, everything you need to create a stunningly contemporary wetroom, to ingenious inward opening, outward opening and sliding door shower enclosures, Roman's extensive range appeals to all. Qi shower enclosures are designed for maximum style and minimum fuss helping you to experience full freshness and revitalisation. 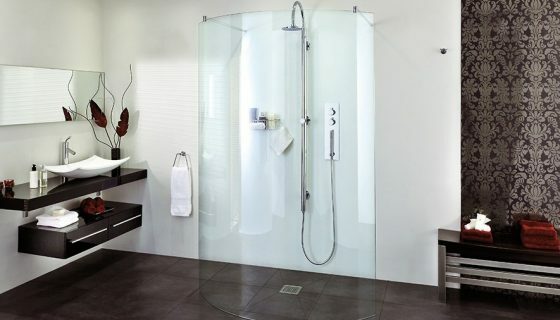 Using innovative technology and highly-skilled expertise, Qi have developed a range of beautifully simple shower solutions with crystal clear toughened glass and a polymer coating to help prevent the build-up of lime scale and soap.